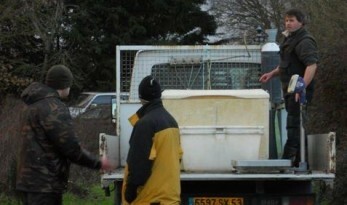 A short video clip showing a 49.02 mirror carp being stocked at Blue Lake on 26th Jan ’12. 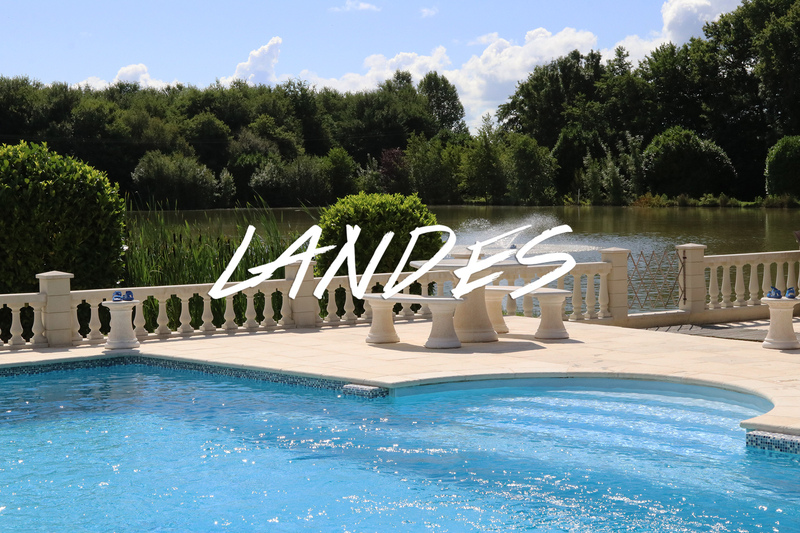 Michel Bigot has just netted one of his stock ponds and dispatched 10 more carp to Sapphire Lake. The best of these were two mirrors weighing 45lb and 43lb. The others were all upper twenties. These are added to the nine 40’s and the 50 we saw him stock a few weeks ago. Looking for a runs water? These carp should help at Mas Bas. 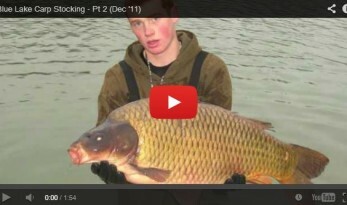 Here’s the video of the carp stocked at Sapphire in November 2010. A summary of the weights were as follows: * 5 fish between 41lb and 43lb * 2 fish at 44lb a piece * the top three weighed in at 48lb, 49lb… and of course the 53lb common.